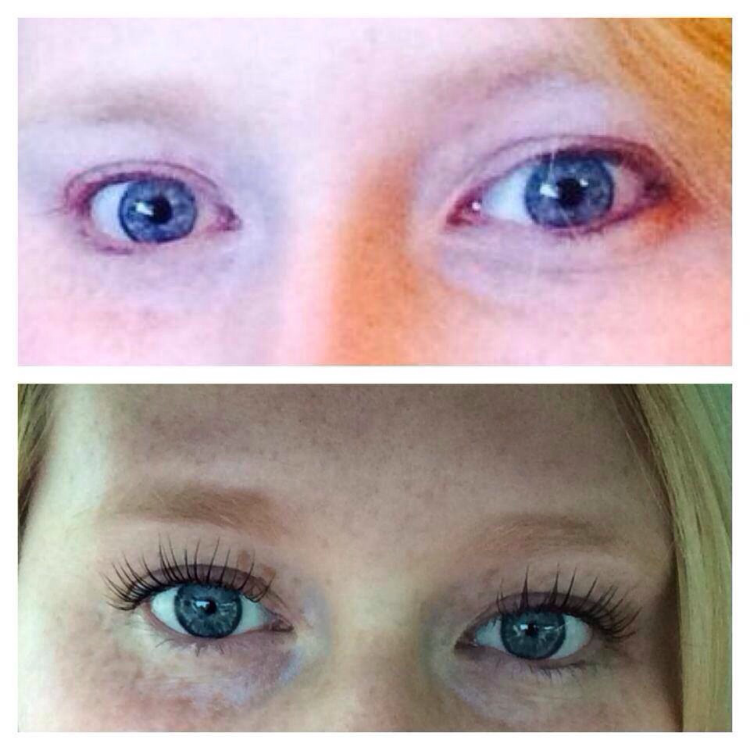 My First Lash Lift and Tint! If you was to see me with no makeup on you'd be shocked at just how fair I am. I have this thing about how my eyes look dead with no mascara on, which is down to the fact that you can barely see my lashes in their natural state. Two weeks ago my friend did a lash lift and tint and I'm thrilled with the results. I've never had any form of treatment on my lashes before, so when my friend, who's also my hairdresser too asked me if I wanted to get my lashes lifted I was like sign me up. Now I wasn't aware of what a lash lift actually consisted of, all I knew was that I got to lie down, have my eyes closed for nearly an hour and that there was a few steps to the whole process, well considering I was on day two of a hangover, the thought of having a nice lie down was ok with me! Basically a lash lift is a perm for your lashes, so for someone like me, who has quite straight lashes, this is a treatment that on it's own will make your eyes look wide awake. As I said there is a few steps to the treatment. I'd just had my hair done and water had splashed on my face, hence the patchy makeup! 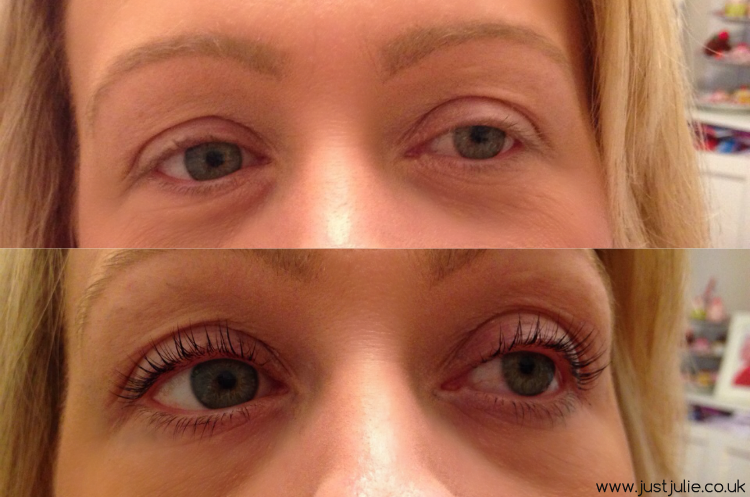 Firstly you need to ensure that you have removed all traces of makeup on your lashes and lids. 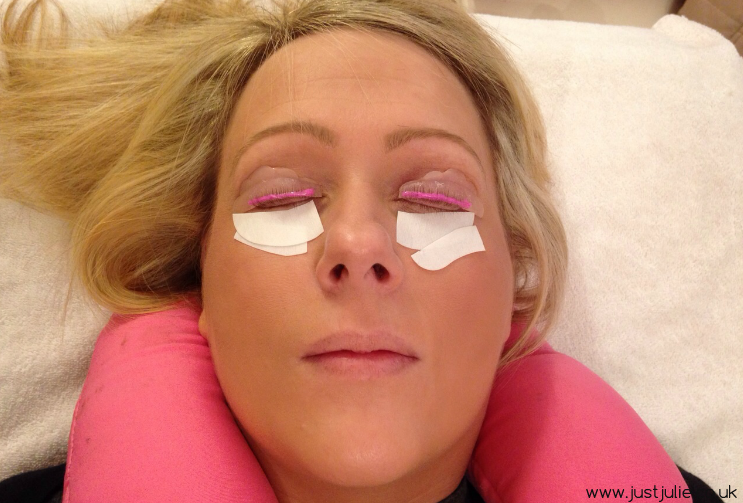 Lower lashes are secured down with tape to avoid them from lifting. A silicone shield is then applied to your eyelid. There are three different shield sizes, and each size is dependant on the length of your lashes, sizes of your eyes and the desired result. I had the smallest shield. The lashes then need to be neutralised. Again the neutralising solution is left on the lashes for another 10 minutes or so. I then had my lashes tinted afterwards, of course you don't need to get them tinted but my god, the difference the tint makes is unreal! As I said this is the first time I have ever had any treatment on my lashes and I wasn't sure how it would feel, although it may look a little uncomfortable in the photo, it really wasn't at all. If anything I actually felt really relaxed throughout the whole process. One thing to note is that after the treatment you can not got yours eye wet for 24 hours or wear makeup on your lashes for 24 hours either. 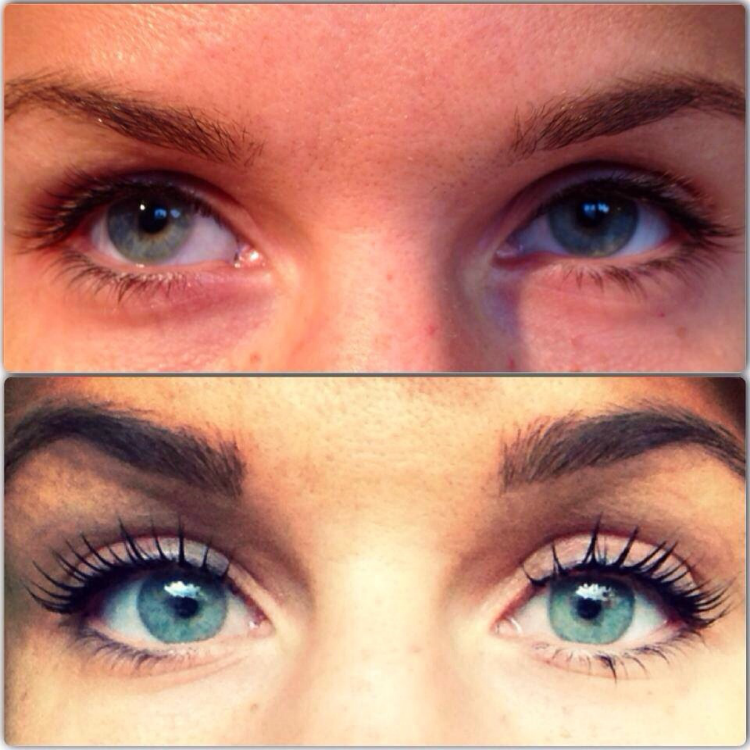 The lash lift should last you around 6-8 weeks too. Here's some other before and after photos. 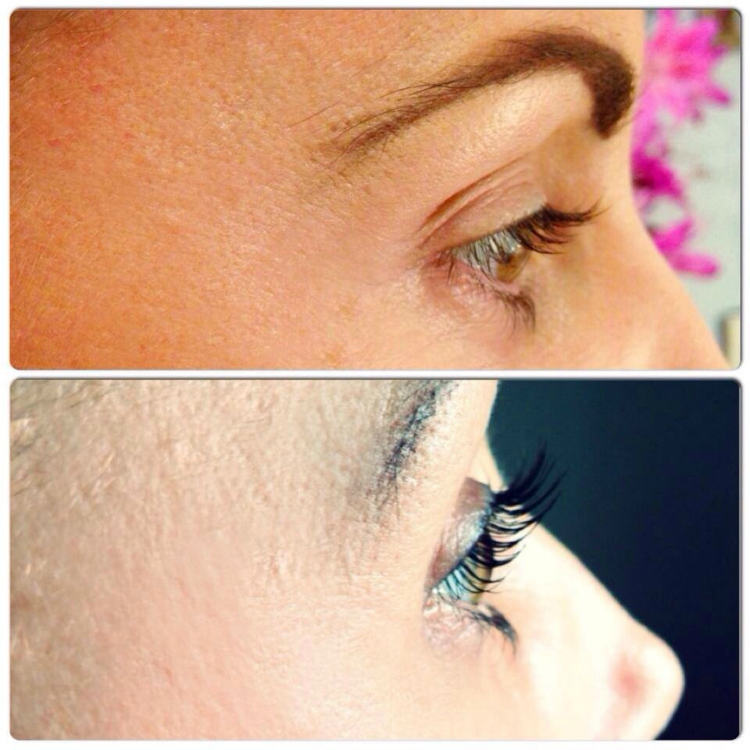 If you are someone who has very little lashes, if they're very fair, not a huge fan of makeup or are going on holiday then I think a lash lift and tint is the way to go. The difference with my lashes now is crazy. I actually look awake without mascara on! My lashes look twice the length and I can get away without wearing mascara, although on a normal day I still do wear mascara but if I'm just popping out then there is no need! Now that I've had my lashes done I'll be continuing to have the treatment every time I go to get my hair done. Please excuse how awful my eyes look, as I said, I was on a day 2 hangover so they look pretty tired but just look at that difference!!! If you're in the Kent area and are interested in having a lash lift and tint then check out my friend Lacie's Facebook page just HERE on how too book. It only costs £28, which is great as most places charge £35+ She also does a deal with your colour and lashes, so you can get everything all in one go, which is what I'll be doing from now on! Honestly I love my new lashes and love looking a bit more human when I wake up in the morning! 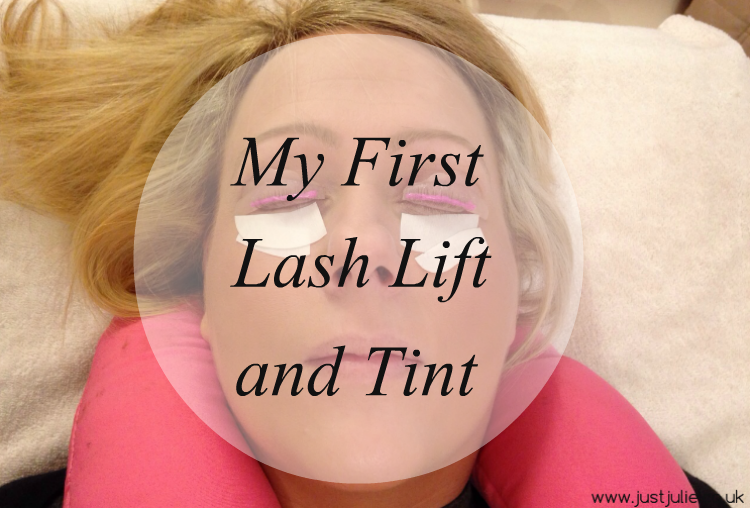 Have you ever had your lashes lifted and tinted? Would you be interested if you haven't?